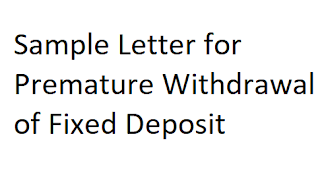 Are you looking for premature closure form for your fixed deposit in a bank or post office? 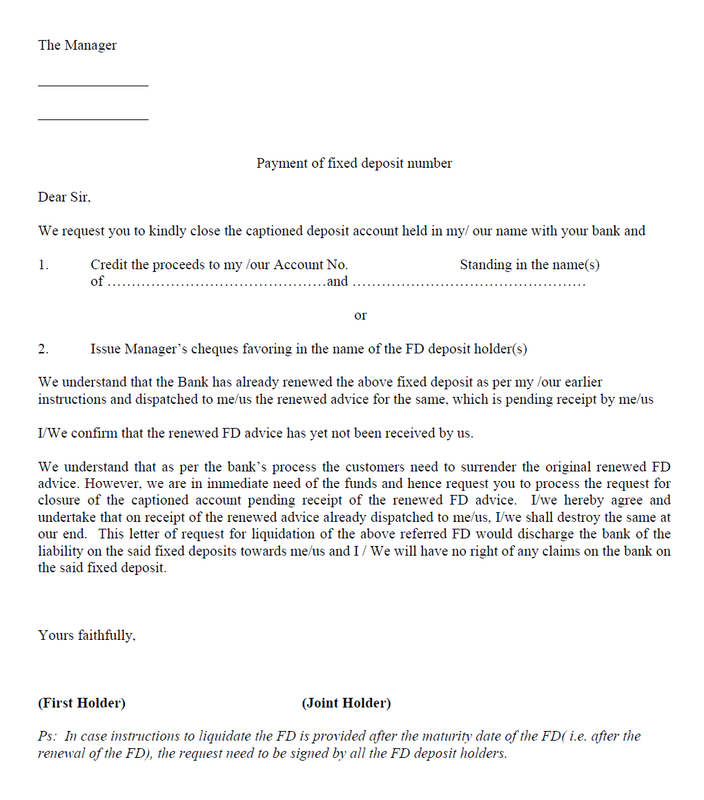 Then this letter format will help you write a suitable letter to close your FD. Check out the contents given below and make use of it. I/We confirm that the renewed FD advice has yet not been received by us. We understand that as per the bank’s process the customers need to surrender the original renewed FD advice. However, we are in immediate need of the funds and hence request you to process the request for closure of the captioned account pending receipt of the renewed FD advice. I/we hereby agree and undertake that on receipt of the renewed advice already dispatched to me/us, I/we shall destroy the same at our end. 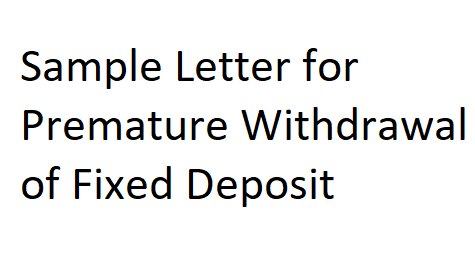 This letter of request for liquidation of the above referred FD would discharge the bank of the liability on the said fixed deposits towards me/us and I / We will have no right of any claims on the bank on the said fixed deposit. PS: In case instructions to liquidate the FD is provided after the maturity date of the FD( i.e. 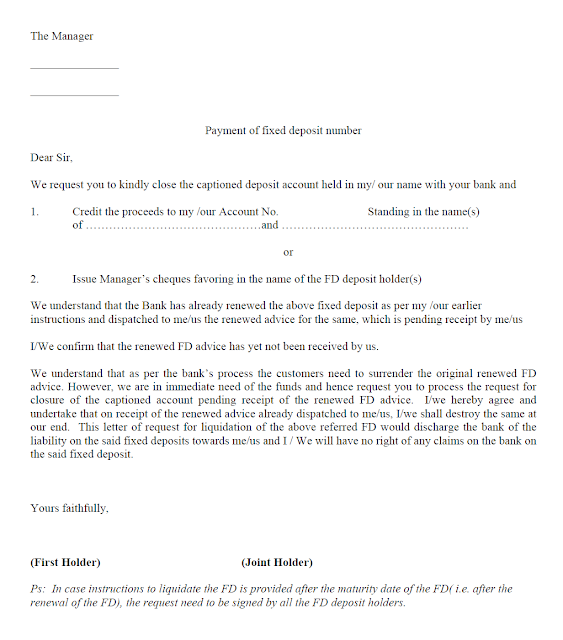 after the renewal of the FD), the request need to be signed by all the FD deposit holders.